Since 9/11, Homeland Security is the Number One global concern for the U.S. and its Allies. Threats facing America no longer wear the face of visible, traditional conflict. Today, we confront a variety of challenges, including tech-savvy international and domestic terrorists; transnational criminal organizations, an increasingly vulnerable, fragile infrastructure, plus - natural disasters. Globalization and new, advanced technologies have shifted the international economy in a seismic fashion. These factors have also become force multipliers for those dedicated to destroying America. 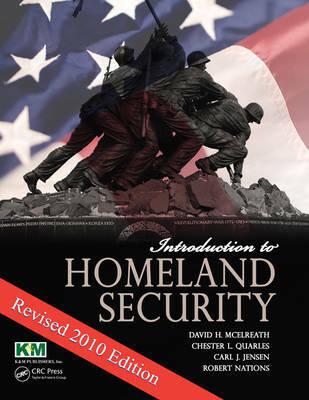 This eye-opening textbook introduces students and readers to Homeland Security survival issues. It provides a historical evolution of Homeland Security. It reveals the shifting nature of all the threats facing our nation. It includes how the U.S. has chosen to deal with, and resolve these threats. The authors bring all the necessary credentials and skills to critically examine this subject from academic and applied perspectives.Their decades of teaching in college and real-world experience enables them to write in a style meaningful to the beginning student. They draw upon their extensive military experience plus serving in local, state and federal law enforcement, and in Homeland Security organizations. This McElreath et al teaching-text follows a flow model developed and successfully taught in their classrooms.